If for some reasons, none of the many NB-IoT boards launched recently suit your needs, there’s yet another option with Avnet Silica NB-IoT sensor shield, that supports – despite the name – also supports LTE Cat M1 (eMTC) beside NB-IoT (LTE Cat NB1), and comes with Arduino headers, as well as a Pmod connector. The board relies on Quectel BG96 module, and can be controlled with Arm mbed OS 5 when connected to STM32 Nucleo board. 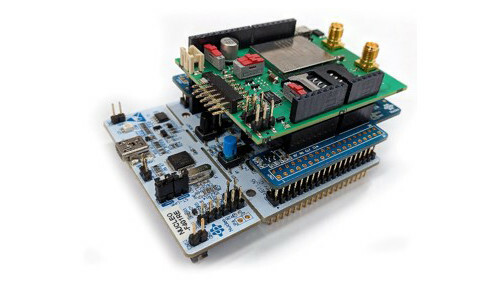 The board can be controlled in standalone mode using AT commands when connected to a computer over serial, and works with major operating systems such as Android, Linux, Windows. Alternatively, it also support mbed OS 5 open source operating system for integrated embedded development when connected to compatible board such as STM32 Nucleo. 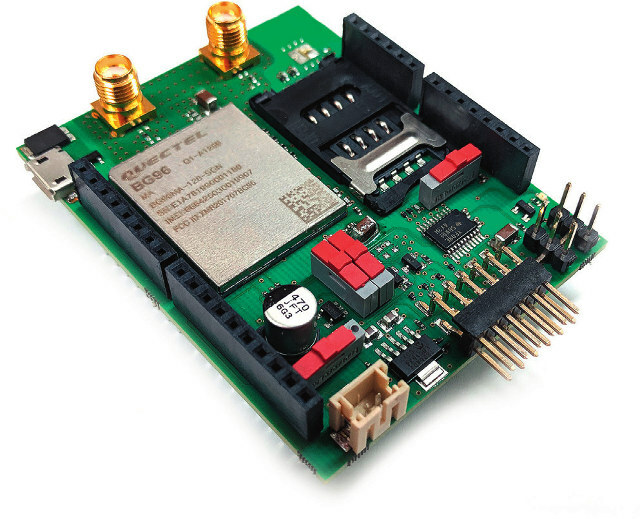 The mbed documentation shows how to run an MQTT client when Avnet Silica NB-IoT sensor shield is connected to STM32 Nucleo-L476 RG board and ST X-NUCLEO-IKS01A2 3D Accelerometer and 3D Gyroscope expansion board. More information can be found on Avnet Silica website, and the NB-IoT Sensor Shield can be purchased for 85 Euros on Avnet.